With the nice fall weather here in Rhode Island, I'm in a Halloween state of mind so today I'm sharing a frighteningly fun way to hand out candy. The Fickle Pickle designed Monster Eyeballs you can print onto sticker paper and affix to Rollos or miniature Reese's Peanut Butter cups, as well as a cute label to go with them. This is the perfect idea for trick-or-treaters or your children's classmates. I know my little monsters will love them! With Halloween just a little more than a month away, I thought I'd take this ANYTHING GOES THURSDAY post and share some fun ideas for family costumes. 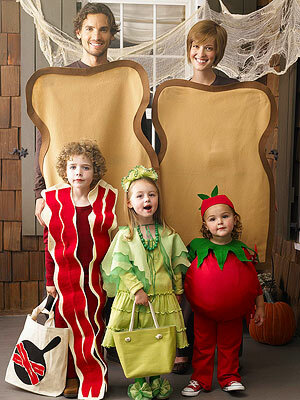 I love this idea for a BLT sandwich so much, I'm wondering if we can borrow a third kid to pull it off. This spider and web costume is appropriately creepy for mom and baby. 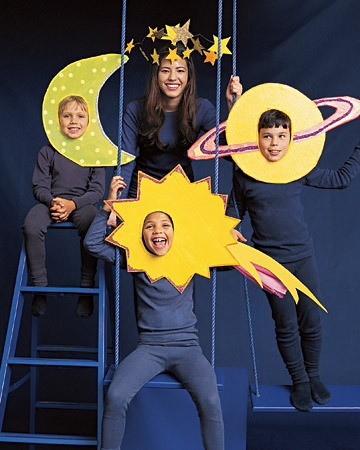 You can prove just how out-of-this-world your clan is by going as planets. 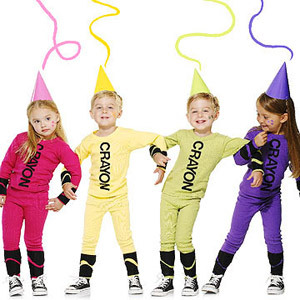 Or show your true colors and dress as a set of Crayons. Marissa from Rae Gun Ramblings came up with the perfect get ups for her three guys. And at Teach and Tickle, Kelly and her family really know how to get into the Halloween spirit. One year, they were Neo, Trinity and their child from The Matrix. And the following year, they were the Incredibles. But my favorite family costumes of all might be the Hallo-weenie trio from The Suite Life of Zach and Codi. Could you just eat that little hot dog up or what? 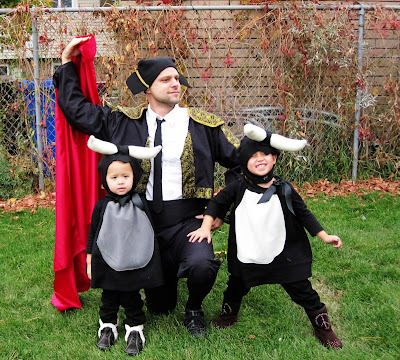 I hope these have you inspired to come up with the perfect family costumes this year! And if you have pictures from years past you'd like to share, send 'em my way at afomft@gmail.com. 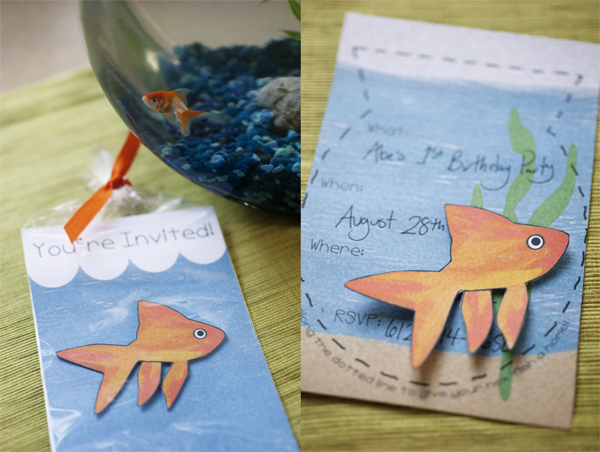 I am currently up to my elbows in projects for Gabrielle and Alaina's birthday party next weekend so I have the utmost respect for people who fill their parties filled with handmade details. Here's one that blew me away. 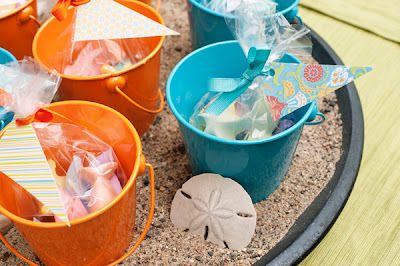 Michelle even made the sidewalk chalk favors. My favorite part? The adorable goldfish cake topper she made, inspired by these. 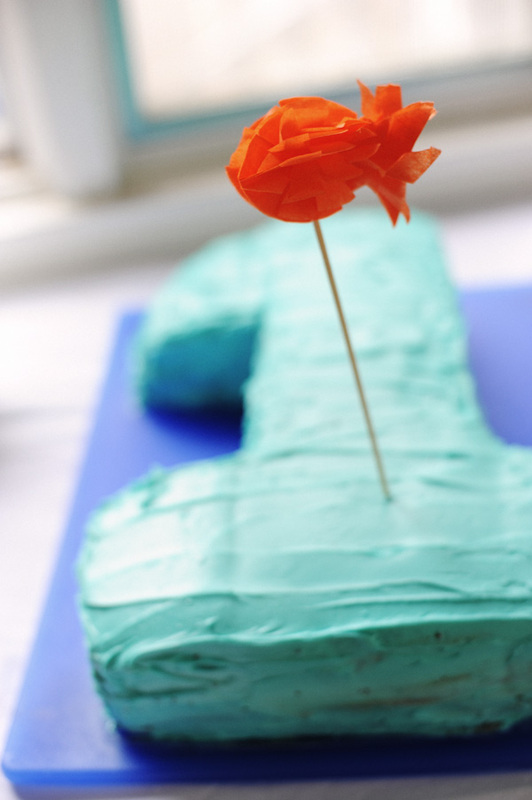 See more pictures over on CAKE. To celebrate Gabrielle and Alaina's birthday! I can't believe my little 27 week preemies are three years old today. Time flies too fast! 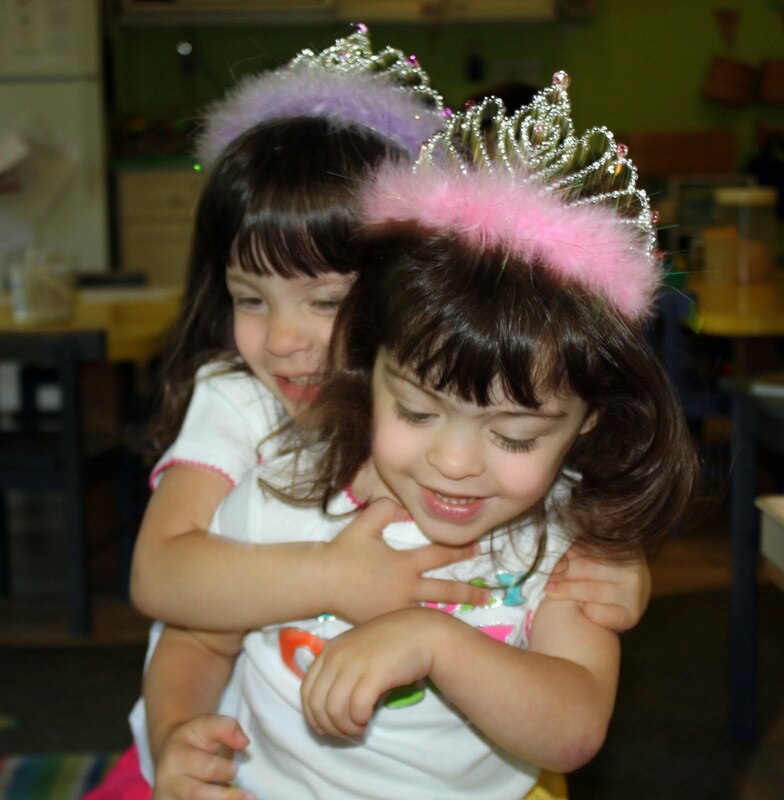 Gabrielle and Alaina turn three tomorrow, and they're not excited about their birthday party or having cupcakes at school. No, they can't wait to bust out their new Dora the Explorer DVDs. The girls are obsessed with a certain Spanish-speaking Señorita and her buddy Boots, and what better way to celebrate than with Dora's Storybook Adventures. This DVD set has Dora and her pals going on three adventures, each in its own double-length episode. Gabrielle and Alaina watched Dora Saves the Crystal Kingdom! at least 100 times when it aired earlier this year, and I know they're going to love the two twin-oriented episodes. 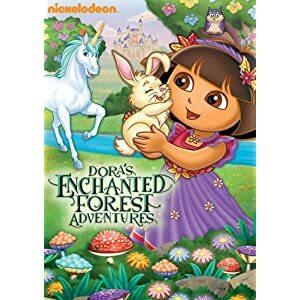 And as if three double-length episodes weren't enough, we also got Dora's Enchanted Forest Adventures, another trilogy of stories, to check out. The Tale of the Unicorn King, The Secret of Atlantis and Dora Saves King Unicornio are three new episodes that won't premiere on TV until November. Pair Dora and Boots with unicorns, gnomes and fairies and you get all of Gabrielle and Alaina's favorite things. They're going to go nuts over these new shows! 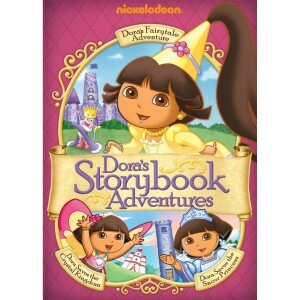 You can purchase Dora's Storybook Adventures and Dora's Enchanted Forest Adventures starting tomorrow, September 13th. I know my girls are going to enjoy every second of them, and I'm going to give a set away to one lucky AFOMFT reader to enjoy too! To enter to win, post a comment here telling me what your child's favorite birthday gift was this year. (this is mandatory). That's it! All entries must be posted on AFOMFT as a direct comment to this post. Comments on Facebook will not count as entries. This giveaway is open to residents of the U.S. only and ends September 19th at 11:59 pm EST. The winner will be selected by random.org and announced on AFOMFT on September 20th. If the winner doesn't contact AFOMFT within 48 hours, a new drawing will be held so be sure to check back to see if you've won! On the morning of September 11th, 2001, I was getting ready for work in my apartment on East 12th Street in Manhattan, admiring how beautiful the weather was when I heard a loud whoosh. Minutes later, the local news interrupted Good Morning America to announce that a plane had hit the World Trade Center. The images, smells, noises and experiences from that rest of that day - and from the rest of that week, really - will be forever seared into my brain. Plenty of them revolve around horror and fear but the biggest thing that struck me on that day was the sense of unity among the people of New York. Strangers helped strangers, neighbors who'd never met sat together and prayed, and countless men and women put themselves in harm's way to help in any way they could. 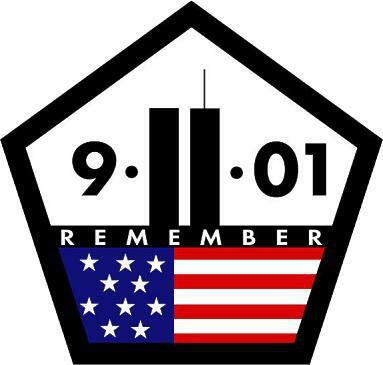 While the terror of the day will always stay with me, it's the togetherness I choose to remember. If all goes smoothly, in about a month we'll be moving into our new house! 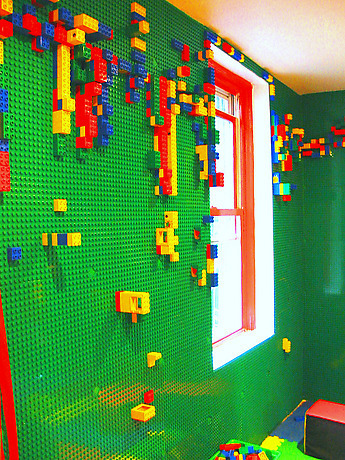 Lately, I've had decorating the girls' playroom on the brain so today's Pinteresting picks are all fun ideas tied to planning the perfect play space. Aren't they all adorable? I can't wait to get started! 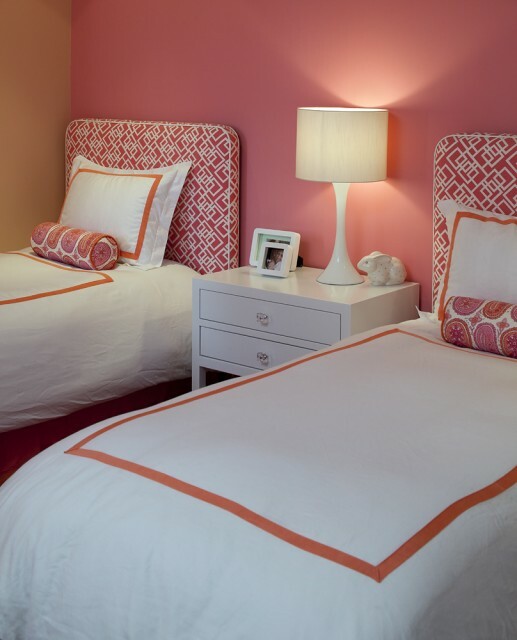 For more playroom projects and ideas, follow my Planning the Playroom board on Pinterest, and if you're on Pinterest, post a link to your profile or your user name so I can follow you too! Are you ready for some football? The NFL season kicked off last night which means tailgate and other pigskin screening parties will be coming up. Want to throw one of your own? Fresh Chick Designs has some free printables to help you plan some super fab football festivities that are sure to score a touchdown! There are party dots, perfect for dressing up food or making banners. And the cutest yard line cupcake wrappers! You can watch Rebecca and Shannon from Fresh Chick Designs give tips on throwing a fun football party here and like them on Facebook to get the link to download the printables above. It's ANYTHING GOES THURSDAY again and I've got a different kind of post for you today. I used to be a music junkie. You name the genre, there was a singer or band I loved. Country, rock, pop, techno - I listened to it all and I loved finding a new artist whose album I enjoyed from start to finish. But for the past few months, my exposure to music has revolved around the latest ditty on Yo Gabba Gabba or the Fresh Beat Band (am I the only one who thinks that "Jump, Jump" song from the "Giant Pizza" episode sounds like something the Black Eyed Peas would sing? I am? Okay, moving on....). So when I had the opportunity to take a listen to the new Mat Kearney album Young Love, I was really excited. I posted last week about how much I've been loving his song "Hey Mama" and the rest of Young Love is just as catchy. I've been training for a 4-mile race in November and Mat's album is the perfect soundtrack for a long run. Most of the songs are uptempo and have a great beat to them as well - "Chasing the Light" and "She Got the Honey" are two of my personal favorites. This isn't Mat Kearney's first release - he's had two others and you've probably already heard his music on shows like Grey's Anatomy or The Hills - so you may want to check out his first two albums as well. His vibe reminds me sort of Counting Crows crossed with Jack Johnson crossed with John Mayer but with a twist, and the biggest endorsement I can give is that all of the songs get me car-dancing and put a smile on my face, even on a rainy day like today. 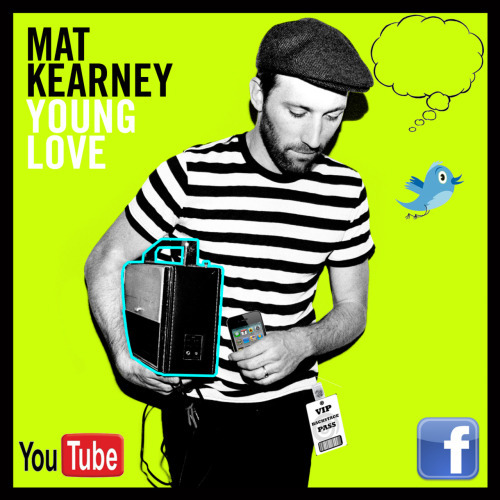 Want to find out more about Mat Kearney? Click around this widget to check out his Facebook page, Twitter, YouTube channel, etc. Please note that as a member of the One2One Network, I was sent a download of Mat Kearney's album for the purpose of this review. No other compensation was received. The opinions I've shared of this product are my own and yours may differ. Congratulations ERIN (ERNA)! You've won a bottle of Espresso Your Style polish by OPI! Please e-mail me at afomft@gmail.com by end of day Friday, September 9th to claim your prize. If I do not hear from you by then, a new winner will be chosen. Congratulations KELLYZ! You've won a $50 gift card to Target for supporting Mito Awareness! Thank you for liking Wish GRANTed on Facebook and helping Delaney spread the word about Mito. She's still trying to hit 10,000 fans so if you haven't already, please head over and like Wish GRANTed! Kelly, please e-mail me at afomft@gmail.com by end of day Friday, September 9th to claim your prize. If I do not hear from you by then, a new winner will be chosen.